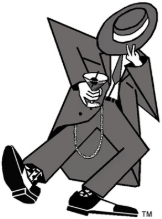 Join us for An Evening at the Speakeasy, this Sunday, February 17th on campus. Silent Auction: Items include Terps sports memorabilia, UMD photos "Centre Court Retro" and "Sunset Chapel", golf outing from M-NCPPC, MSOM memorabilia, a plethora of pistachios, wine basket, good scotch, an MSOM game day experience, and something with a big boom! This event is sure to be the bees knees, so click on the flyer below to get your tickets today! Thank you to every alumni and family member who made it out to Homecoming 2018! We had a huge, wonderful turnout thanks to your support. Next year's Homecoming was just announced for Saturday, November 2nd where we take on the Michigan Wolverines. We hope to see you there! Win a Block M Blanket! Rich Sparks to Pick Winner at the BYOP! UMBAO is starting a series of raffles to raise money for the L. Richmond Sparks Mighty Sound of Maryland Fund. Our kick-off item is especially for the Band Alums - the Block M Blanket! This online raffle will now run through NOON on Friday, August 25, 2017, and Rich Sparks will draw the winning ticket at the BYOP (Bring-Your-Own-Picnic to the Friday night rehearsal of Early Week). You do not need to be present to win, but we hope you will be at the picnic. Single tickets are only $5, and bundles are available. Be the envy of all the Band Alums! You only have until NOON on Friday to purchase tickets, so get yours today! Please help us raise money for the LRS MSOM Fund - Share this with your band family and friends today! It's a BYOP - Bring Your Own Picnic - to the Friday night rehearsal of Early Week. Bring your family and friends, blankets and lawn chairs, and your favorite picnic dinner to get a sneak peak at your MSOM before the first football game. We will have a little trivia (questions courtesy of Mr. Information himself), games, prizes, and a special guest - RICH SPARKS!! And he hopes to see a lot of you on the Chapel Lawn on 8/25. So mark your calendars now, and start planning your picnic menu! It’s an exciting time at the University of Maryland! The Maryland Band’s very own Eli Osterloh is at the helm of the Mighty Sound of Maryland! The Endowment fund is building! And the Terps are now 2-1! Be a part of the alumni band action at Homecoming 2015 on Saturday, November 7th. Kickoff is at 3:30, so reserve the whole day! Keep an eye on your email and this website for details. You can help raise money for UMBAO and the L. Richmond Sparks Mighty Sound Of Maryland Fund just by participating in Homecoming! How? It’s an “Incentive Event”. If the Alumni Band has 25 or more alumni graduates spanning at least four decades, UMBAO will be eligible to receive an incentive bonus from the Alumni Association. It’s that easy — and no checkbook required! 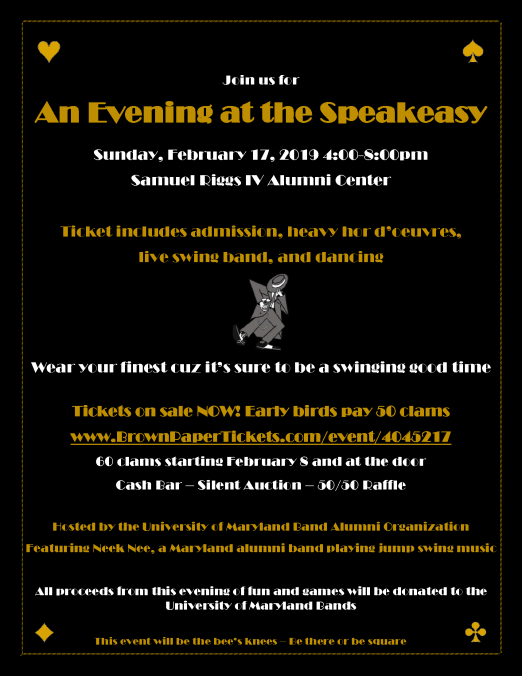 So come out and support the band… and the Terps, too! For those who haven't heard the news yet, Dr. Sparks announced his retirement at the football game this past weekend. He will be around throughout the rest of the school year, so come by College Park to say congratulations. We will post more details and announcements soon. Many alumni have been posting their personal stories about Dr. Sparks to Facebook, so please take a look at the MSOM group to see those anecdotes and write your own. Celebrating 110 years! Now that your years in the Maryland Bands are over, it’s time to look back and remember all the good times. Browse around to share memories and become reacquainted with the best part of your alma mater.